The 2015 – 2016 Season of Bach at Noon is coming to a conclusion and the Summer Season is about to begin! The 2015-2016 Season of Bach at Noon will come to a conclusion on Thursday 24 May. 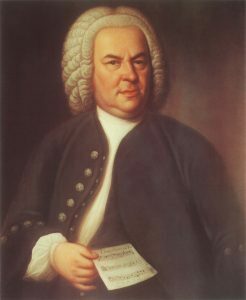 There is no Bach at Noon on Friday 25 May due to the celebration of the first Graduation Ceremony of the New Grace Church High School on Friday the 25th. 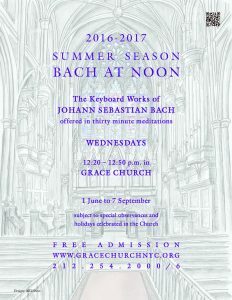 The Summer Season of Bach at Noon will begin on Wednesday 1 June at 12:20 p.m. 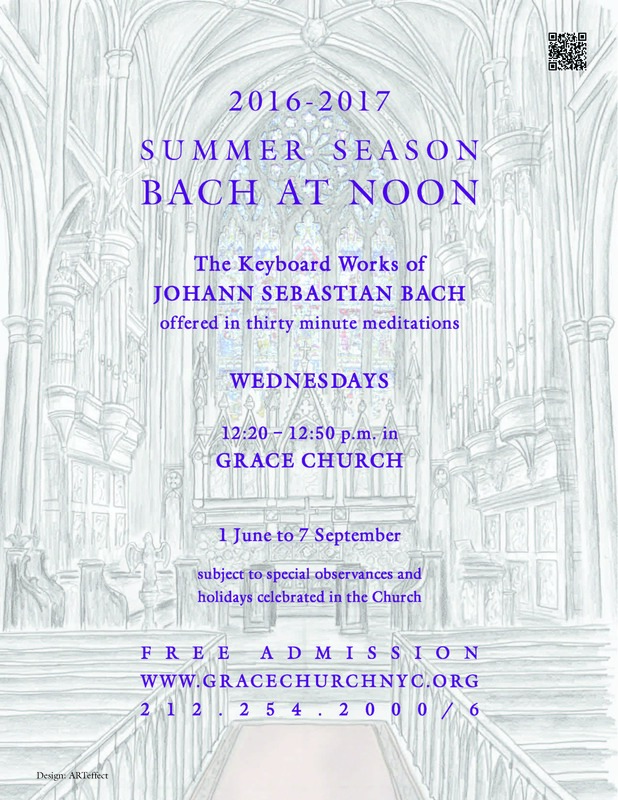 The Summer Season takes place each Wednesday of the summer at 12:20 p.m.
Bring a Colleague, Friend and your family and enjoy these moving meditations that feature the organ works of Johann Sebastian Bach on the Bicentennial Organ, completed in 2013 by Taylor and Boody Organbuilders of Staunton, Virginia. They are free and last about 30 minutes. The 2016 – 2017 Season of Bach at Noon will begin on Tuesday 13 September at 12:20 p.m. 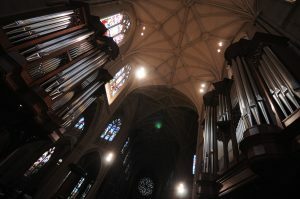 If you are moved by these offerings, please help support the musical offerings of Grace Church by making a donation in the alms box in the Narthex or online at www.gracechurchnyc.org and click GIVE.